The look, feel and smell of an old paper can make you think of the olden days papers like the Celtic parchment, the Papyrus of Egypt and the ancient Rice Paper of China. The act of making your normal paper appear old is one easy way you can add some more fun to new creative projects and avoid the high cost of getting the real thing. While there are several tips on how to make paper look old, here are the simplest way to achieve this feat using everyday items you can find in your kitchen. Making a new paper appear old for the sake of making some historic parchment manuscripts is quite easy. The simple steps outlined below will enable you learn how best to achieve this. Different paper gives you different results. It is discovered that the usual printer paper has some waterproof abilities and fails to soak up the coffee or tea stains easily. This often leads to a pale result. Water paint or blotting paper will give you a more satisfactory result. We made use of a multipurpose textured paper for art works, obtained from a drawing pad. This worked perfectly for aging the paper because it was able to absorb the stain quite well. 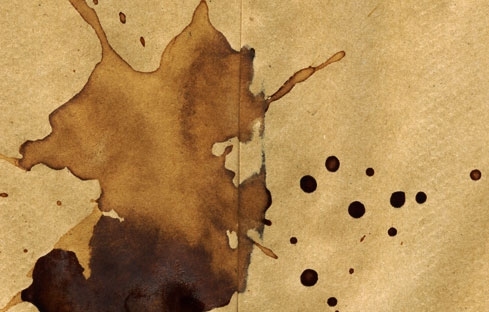 Crumbling up the paper helps it acquire a better texture when it absorbs the coffee or tea stains. You don't have to do this if all you desire a just a more even look. It is a normal practice to add about 2 Tsp of coffee in about 2 cups of hot water. You must give it time to dissolve. You can also equally soak 3-4 bags of green tea in the same 2 cups of water at one time. Both techniques seem to work perfectly well. Flatten the crumbled sheet of paper and spread it in a roasting dish or any such container. Then pour it over your coffee/tea stained water. It doesn't take a long time before it gets soaked in. You could easily lift the parchment out and place it on a newspaper to dry out, but you can always place it on a baking pan over the oven and leave it there for some minutes at a low temperature. Now, your paper is ready to be used. It is now perfect for making any scroll manuscript you desire. You can also use it to make aged parchments on which you can make your fonts. You can then put your parchment through a filter, if need be. You can also print on the paper before trying to age it, but the dye often runs during soaking. Use a white candle to write over your paper. Cover as much of its areas as you can. Crush the paper until the wax cracks. Paint the surface to form random cracks. Iron the paper to get rid of the wax. Get it placed between two paper towels and pad it with a newspaper on the two sides before ironing it with a very hot iron. Walnut ink can be produced from black walnuts. You can always find it in its crystallized form, and must be hydrated before it can be used. Rub the liquid walnut ink on your paper, fabric, lace, or any other material you have. Several effects can be created in your attempt to make your paper appear old. If you need more information on walnut ink, you can hit the search engines. Another effective tip on how to make paper look old is to crumble your paper up. Get it flattened out and then crumble it again. You can repeat this process as often as you wish before making use of the paper in your layout. If you like, you can get the finished paper ironed. This will give it a very special look. You can also try placing the thick paper in a bucket of water before the crumbling process to achieve a different look. Don't cut the paper neatly, tear it instead. Holding up your paper while you tear will produce a unique look; when you hold it away from you, you will produce another look. Get the edges of the paper colored using some decorative chalk, tea bags, walnut ink, or any similar thing to achieve an old look. Use sand paper to lightly shine your paper to give it a worn out look. Sand it the same way you would sand your wood: using directional move, rather than a circular one. Another effective tip on how to make paper look old is to burn the edges of the paper. Do this over your sink for your safety. Make use of a stick of incense or candle. Use your finger to pinch the burnt edges. You can wet an inner part of the paper before burning it if you so desire. You can use a wet Q-tip, your finger, or paint brush to do the wetting. This will stop the paper from burning beyond what you wish, because the wetted inner part will stop the flame from extending beyond its borders.